Arts for Lawrence offers year-round programming at Theater at the Fort. We offer literary arts, performing arts and visual arts. We truly offer something for everyone. Looking for tickets to a performance at Theater at the Fort? Click the link below. You'd be surprised how far we can stretch a dollar! 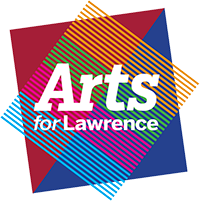 Would you consider making a tax-deductible donation to Arts for Lawrence? You'd be surprised how far we can stretch a dollar for the betterment of our community. 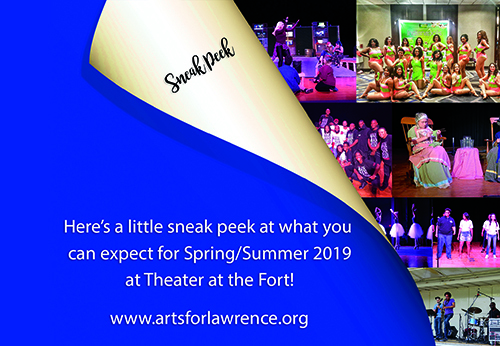 Arts for Lawrence is a 501(c)3 non-profit organization housed at the Theater at the Fort. The organization incubates programs in arts and culture to improve the local economy, reach under-served audiences, and benefit the quality of life for our community. Our community is a better place to live because of people just like you. We are looking for Superheroes! Did you know by donating a few hours of your time, you can be considered a superhero? We have volunteer opportunities for everyone. Whether you're looking for admin work, theater volunteer or grounds/maintenance... we've got something for you! 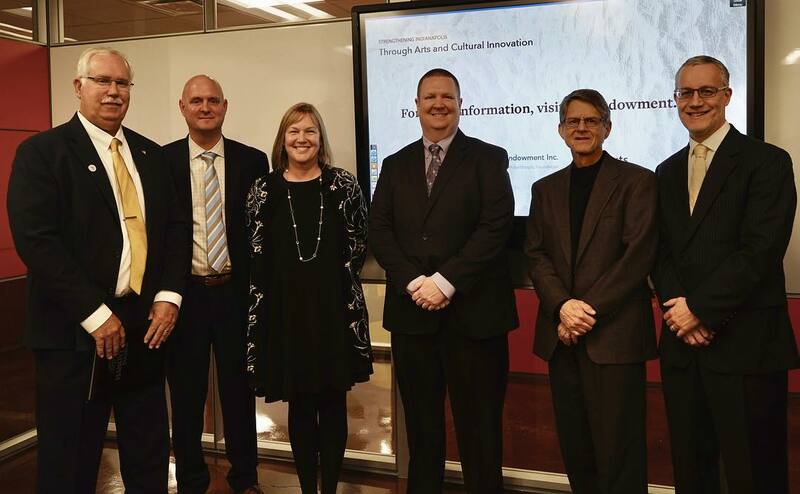 The city received an incredible gift of $5.85 million dollar grant from Lilly Endowment, Inc. for our Cultural Campus at Fort Harrison. Congratulations to our new Fundraising Officer, Victoria Musser. We are thrilled to have her as part of the Arts for Lawrence family! The community is invited out to swing!